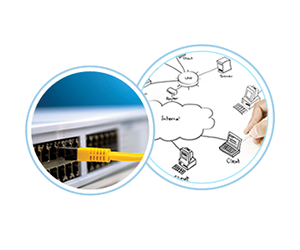 Support your business needs and allow you to complete your IT-Network projects more efficiently. Focusing on reduced cost, improve efficiency and scalability in computer networking designs. A hierarchical network design involves dividing the network into discrete layers. Each layer, or tier, in the hierarchy provides specific functions that define its role within the overall network. Designing a network is more than merely planning to use the latest gadget in the market. A good network design takes into consideration many factors; scalability, manageability, availability, security. The network should stay up all the time, even in the event of failed links, equipment failure, and overloaded conditions. The network should reliably deliver applications and provide reasonable response times from any host to any host. 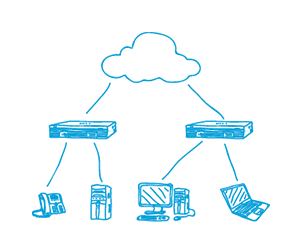 Virtualise all of the network services, features, and configuration necessary to provision the application’s virtual network (VLANs, VRFs, Firewall rules, Load Balancer pools & VIPs, IPAM, Routing, isolation, multi-tenancy, etc.) – take all of those features, decouple it from the physical network, and move it into a virtualization software layer for the express purpose of automation. Consultants are paid to share their expertise and knowledge to help businesses attain goals and solve problems. Businesses often hire consultants to supplement their staff and save the costs of hiring a full-time employee. As a person new to the company or organisation, consultants view the situation from a fresh perspective. Because a consultant isn’t beholden to any particular corporate culture, co-worker scrutiny or morale, consultants can act as the catalyst for change.